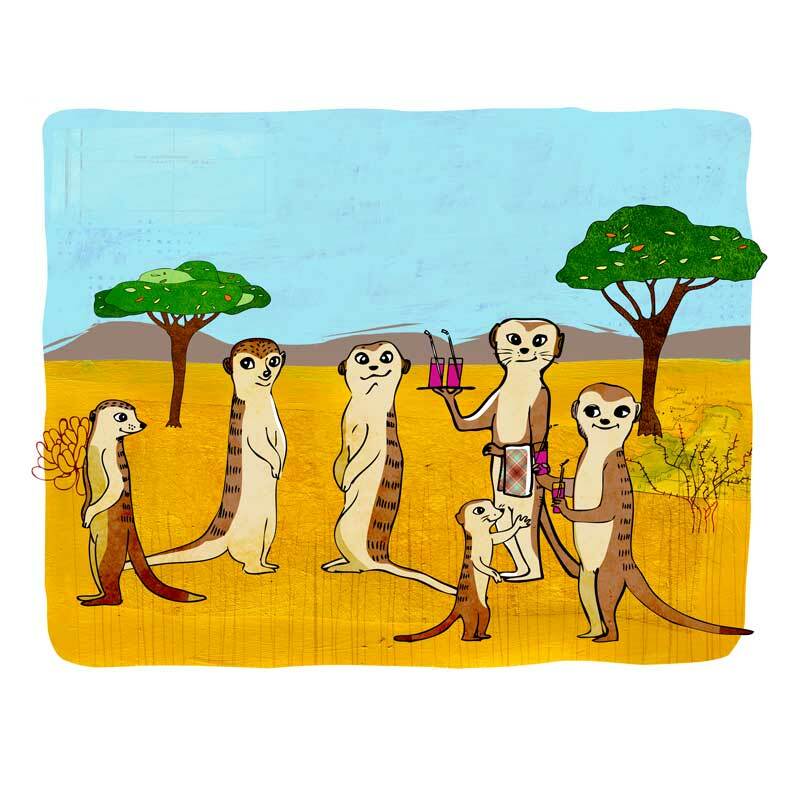 A pattern and illustration of cute meerkats serving cocktails and lemonade. 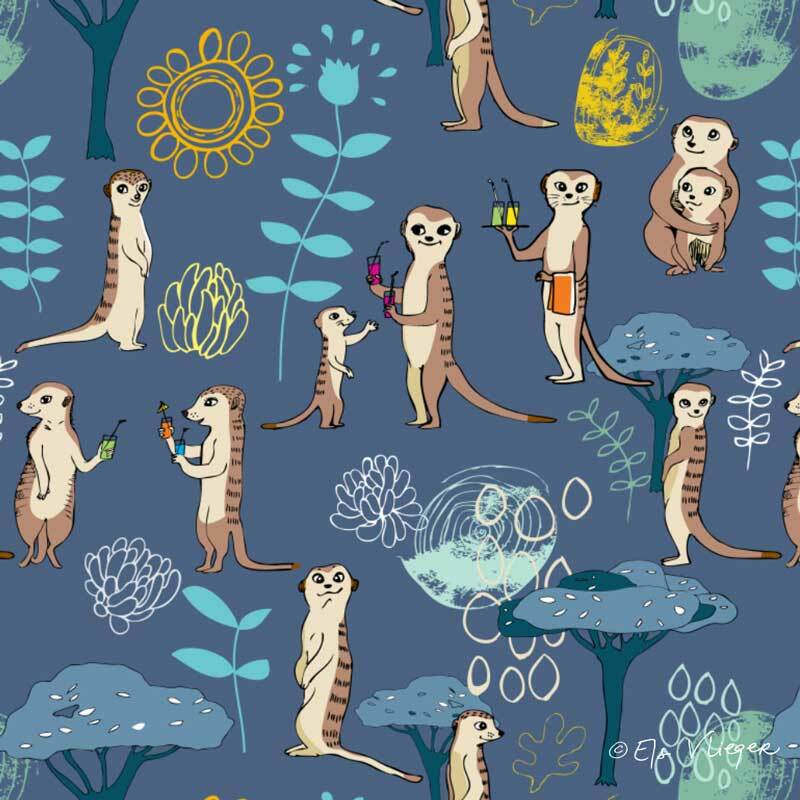 This pattern is available as fabric, gift wrap and wall paper in my Spoonflower shop. 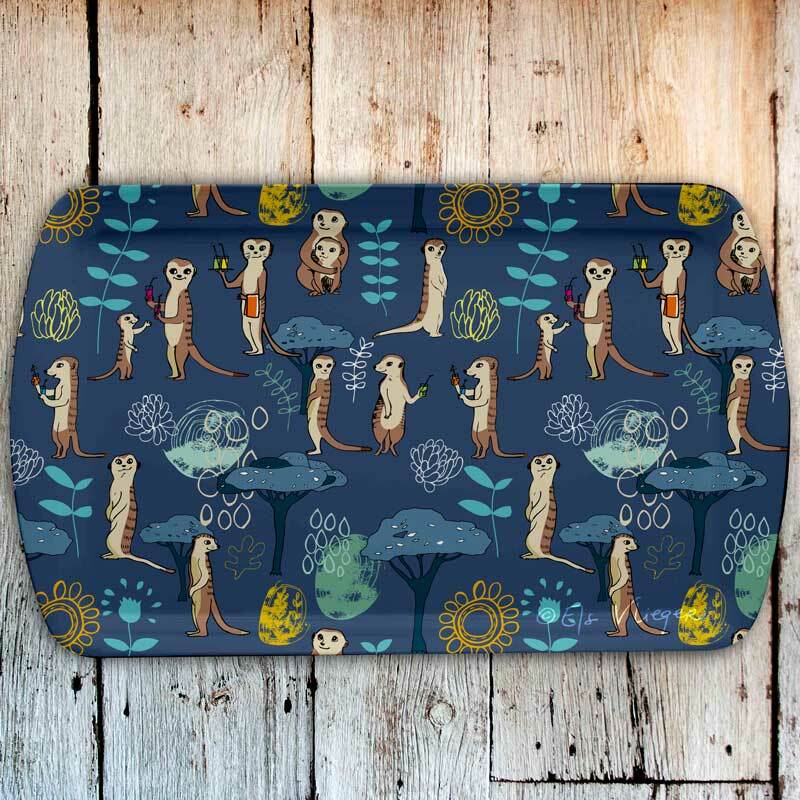 If you’re interested in this pattern or illustration for licensing purposes feel free to contact me.